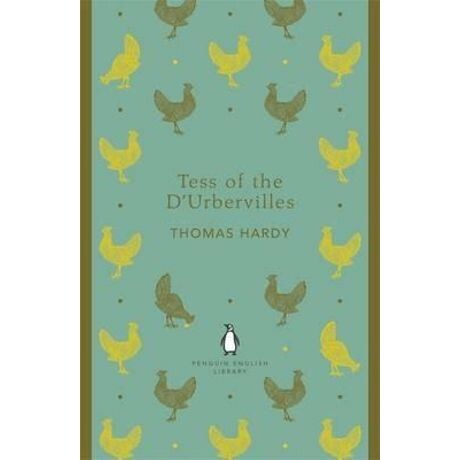 With its sensitive depiction of a wronged 'pure woman' and its powerful criticism of Victorian sexual hypocrisy, Tess of the D'Urbervilles shocked readers on publication. Its heroine is a poor country girl, Tess, whose encounter with her distant aristocratic relatives - especially the handsome, cruel Alec - leaves her broken and haunted by a secret that could ruin her. A very different man, Angel Clare, offers her salvation, but Tess must choose whether to reveal her past, or remain silent in the hope of a peaceful future. Formerly a prize-winning architectural student, Thomas Hardy (1840-1928) went on to become a prolific novelist and poet. Tess of the D'Urbervilles, set in the 'partly real, partly dream-country' of Wessex, was at first refused publication and then published in censored form, shocking readers in the challenge it posed to social and sexual mores. Hardy's novels Under the Greenwood Tree, Far From the Madding Crowd, The Return of the Native, Two on a Tower, The Mayor of Casterbridge and Jude the Obscure are also published in the Penguin English Library.